This two-ring set is perfect for everyday wear. The construction and the diamond are incredibly durable. 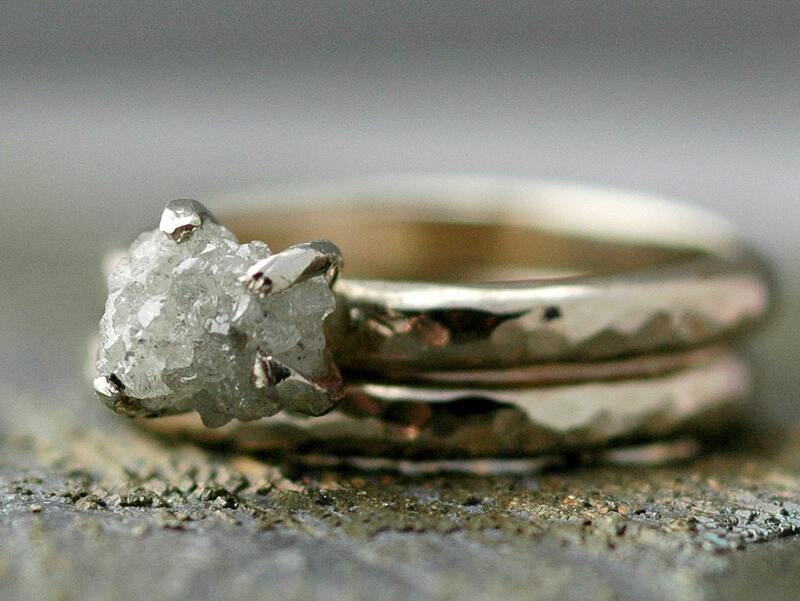 These also make fabulous engagement ring and wedding band sets for those of you looking for a more organic and natural-looking ring at an affordable price. 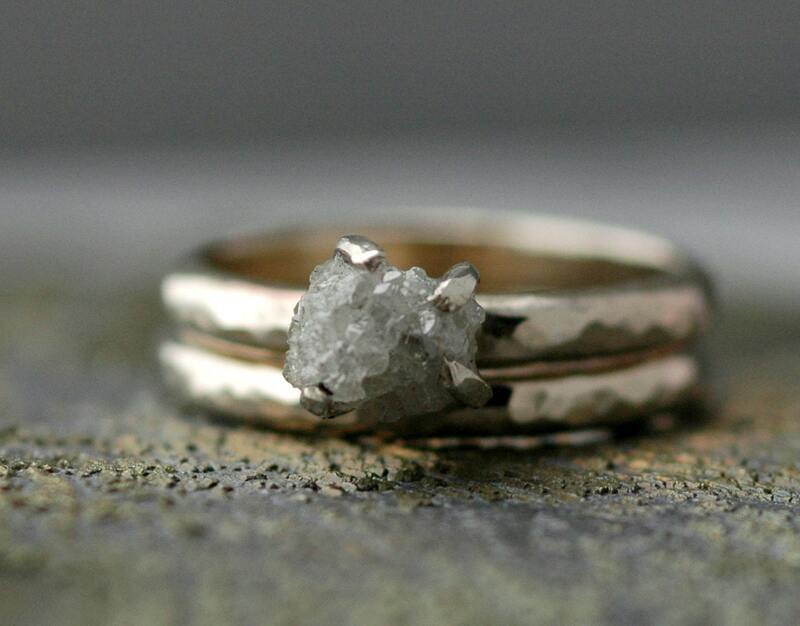 The first photo is only of the diamond ring, but a matching wedding band is also included in this listing. 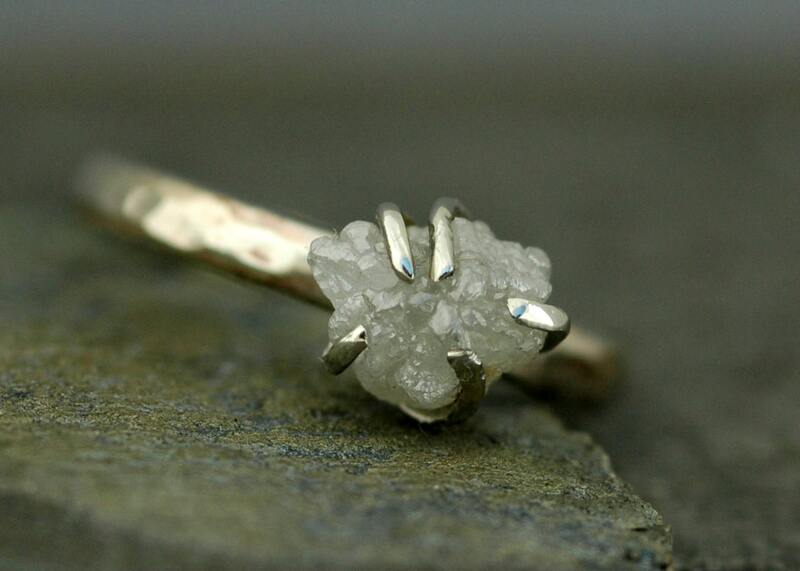 Each of my diamonds is in its raw, natural formation, and is conflict-free. These are my Size E diamonds- they are between 8-9mm, and are in the range of 4-6m high. If you would like the specific dimensions of any stone, please get in touch. This parcel of diamonds ranges in colour from snow white to pale silver. Please let me know which of the diamonds catch your eye- my diamond collection is constantly changing, and the ones show in the photos are examples of the types of stones I have on hand, or can obtain by request. 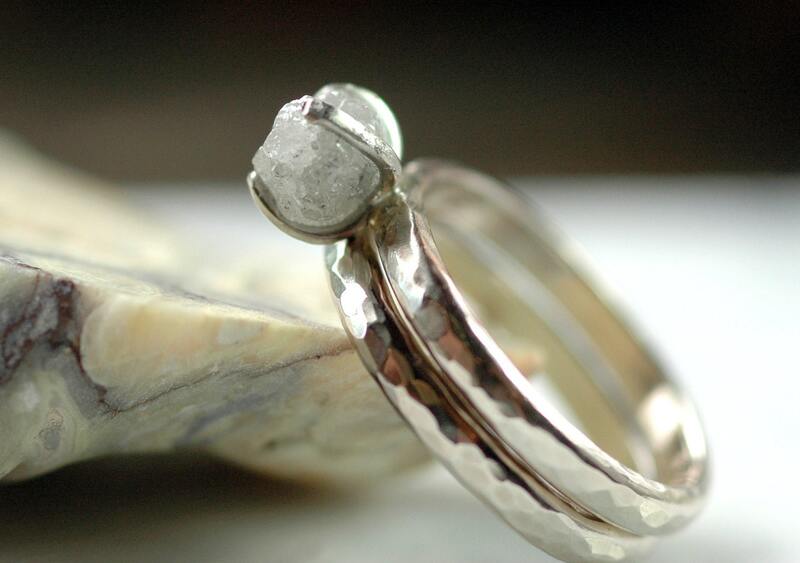 Please DO NOT choose your adjusted ring size during checkout- this will cause your rings to be miss-sized. Please provide me with your true ring size, and I will adjust the sizing from there.